Mike Frerichs is running for Illinois State Treasurer. We have to ask: What is his record on taxes. 1. 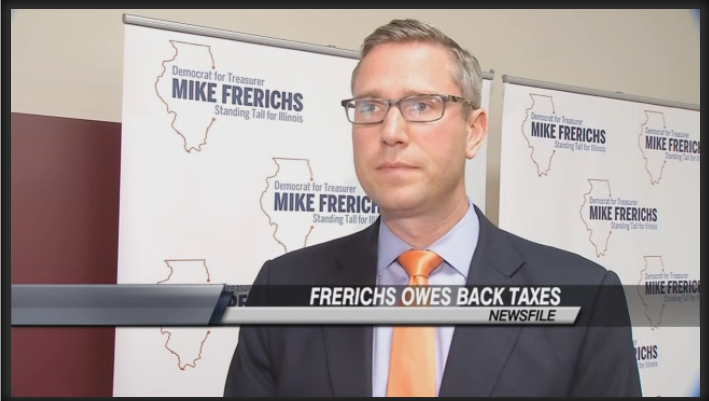 Mike Frerichs has supported billions of dollars in budget hikes and Frerichs voted with Governor Pat Quinn for the biggest 'tax increase in State of Illinois history'. 2. Mike Frerichs then decided he didn't think he had to pay his property taxes for almost seven years. He just ignored the tax bills when they arrived every year.